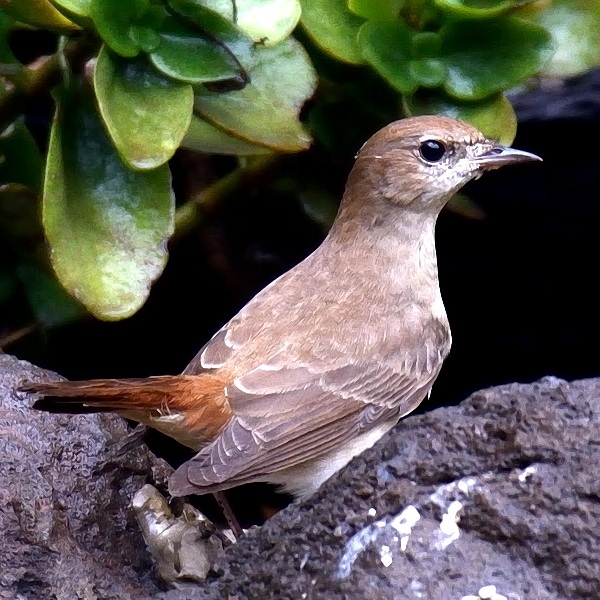 The nightingale is a palearctic migrant. 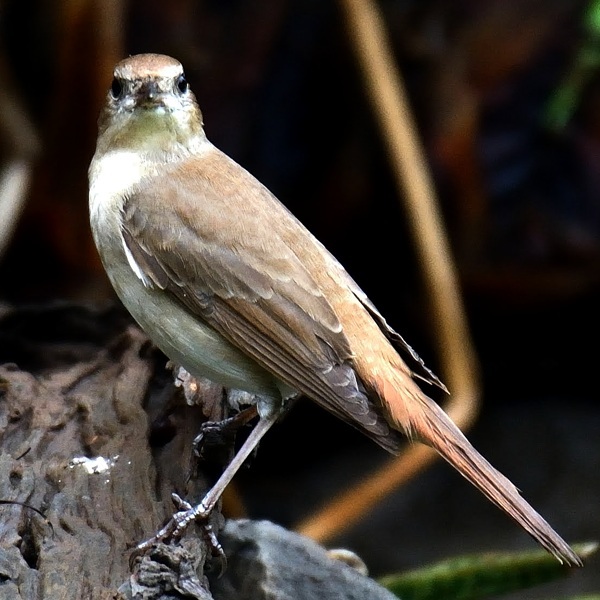 Note the plain breast, the rufous tail and head and the strong white eye-ring. 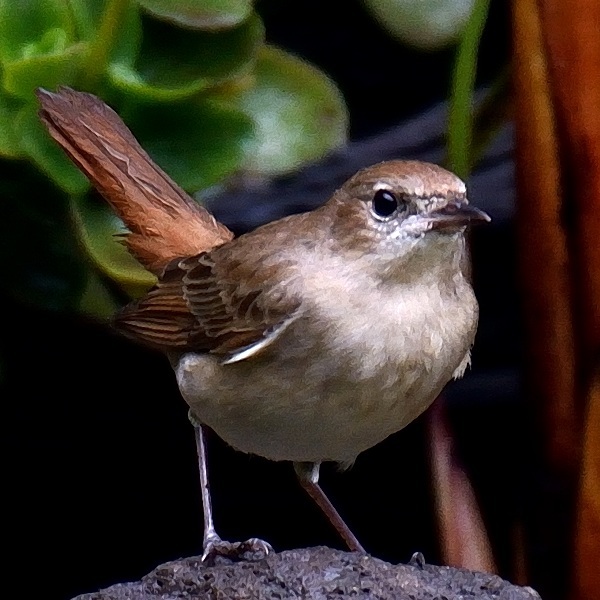 Diagnostic is the first primary which is longer than the greater coverts. The upper photos were taken in December 2017; the slider photos, November 2007; all in Olasiti.